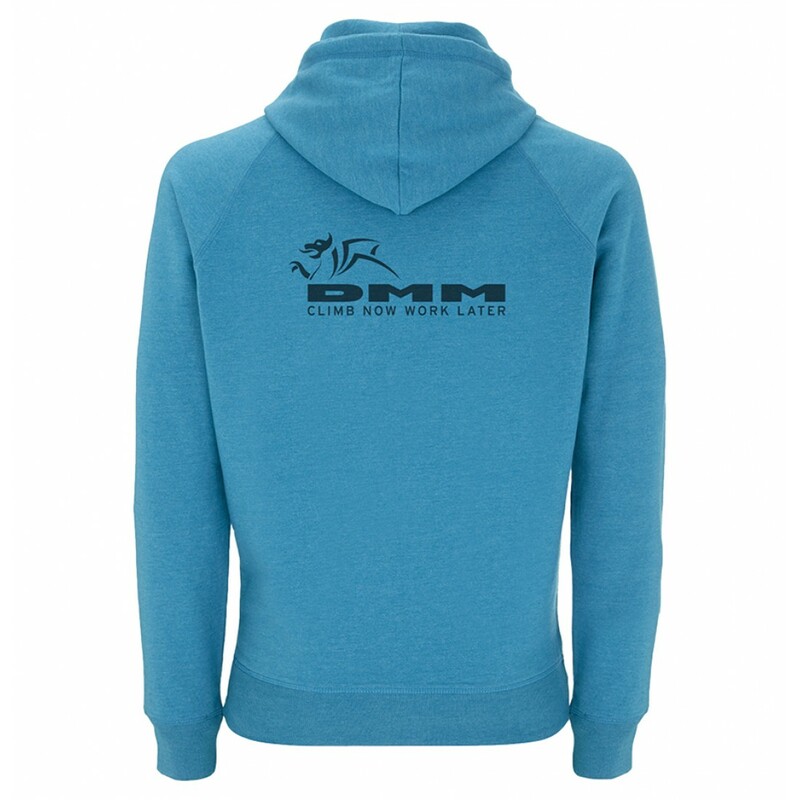 This comfortable unisex zip-up hoodie has a small DMM logo on the front and on the back has a ‘Climb Now Work Later’ logo. 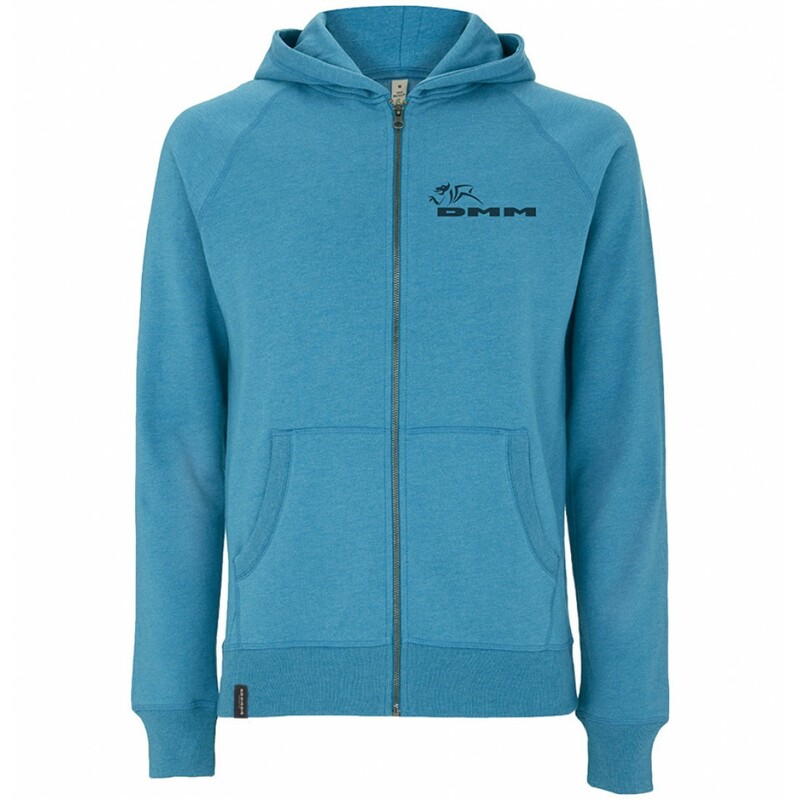 Each hoodie is manufactured using 60% recycled pre-consumer organically grown cotton and is blended with 40% recycled post-consumer polyester. They meet the Fair Wear Foundation social responsibility criteria. Just for fun there is a subtle hem tab with a kilonewton (kN) strength rating, just like the ones you would find on DMM's slings. This top however is rated 0kN, instead of the 22kN rating of their 8mm Dynatec slings. 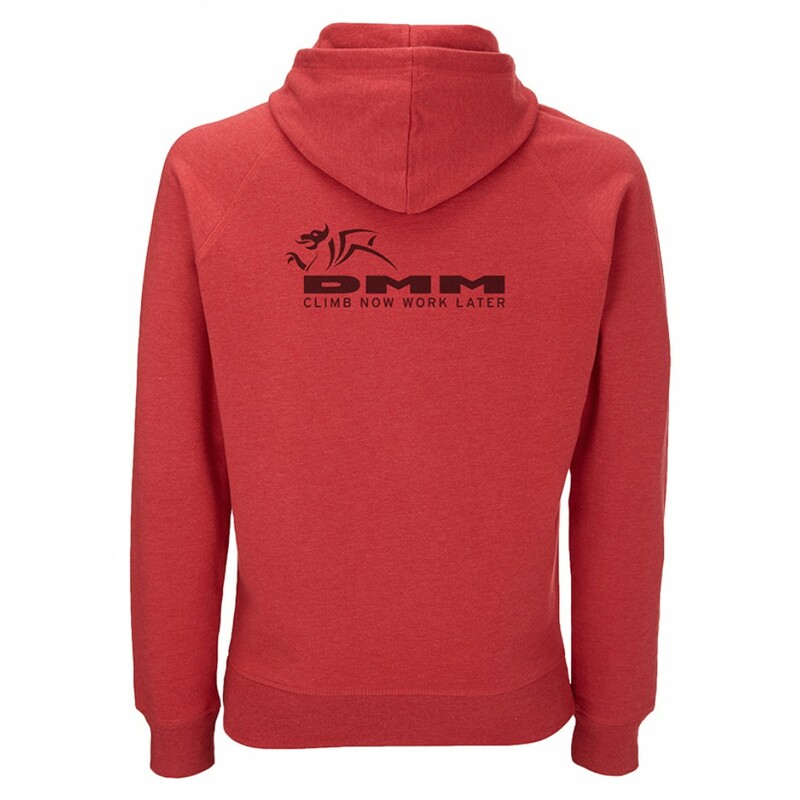 The hoodie comes in two colours. Sunset and glacier, with contrasting white logos and front pockets. 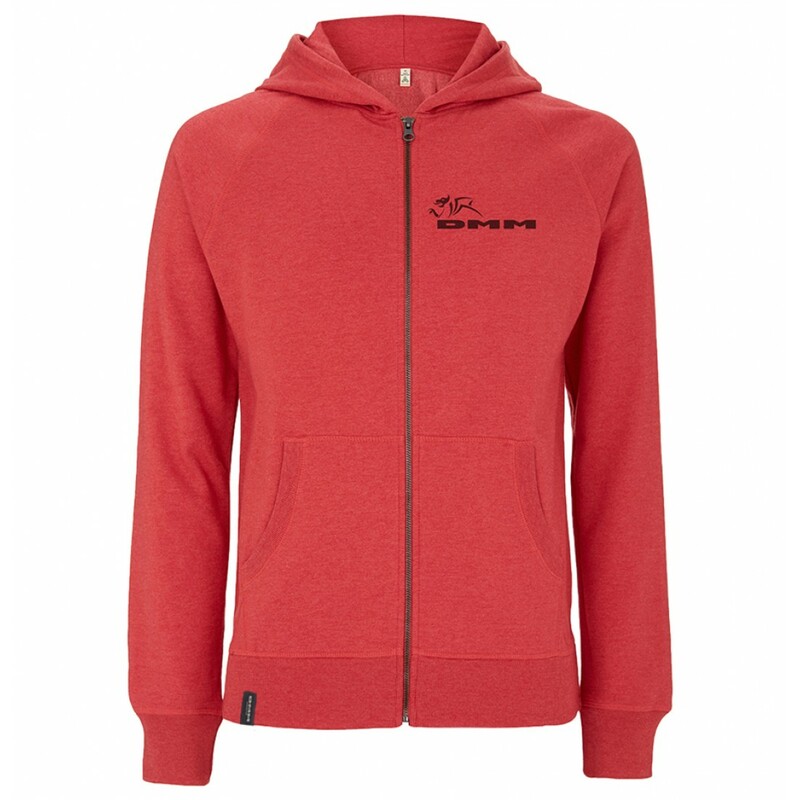 If you want to be cosy and warm and look good at the same time then this hoodie is for you.